Magnificent Bright & Sunny Open Floor plan w/ 3 Large Levels of Living. Cathedral Ceilings throughout first and second floors with Skylights for beautiful lighting. Open Kitchen features Eat-In counter, Gas Stove, Fisher Paykel dishwasher and opens to Family Room featuring custom built in cabinetry w/gas fireplace, Wood flooring, slider to screened porch and brick patio and private wooded backyard. Open Foyer w/ built in Bar w/granite countertop and glass shelving leads to fireplaced Living Room w/Custom Tile Flooring. Dining Room offers wall sconces, tile flooring and oversized pantry closet for added storage. Private Master Suite 2nd floor with brand new carpeting, Double built in closets and beautiful tiled bath w/oversized jet tub, stand up shower and double vanities. 2nd Bedroom has brand new carpeting,double closets and easy access to full bath w/granite countertops and glass sink. Expansive Lower Level features full windows & Game Rm & 3rd Bedroom or Office w/Exterior Access. 2 Old Colony Dr #C, Westford, MA 01886 (MLS# 71972888) is a Condo property that was sold at $350,000 on May 17, 2016. Want to learn more about 2 Old Colony Dr #C? Do you have questions about finding other Condo real estate for sale in Westford? 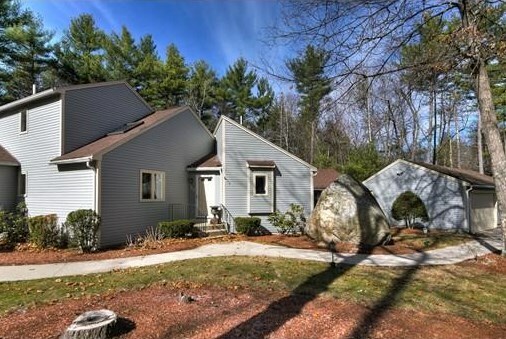 You can browse all Westford real estate or contact a Coldwell Banker agent to request more information.